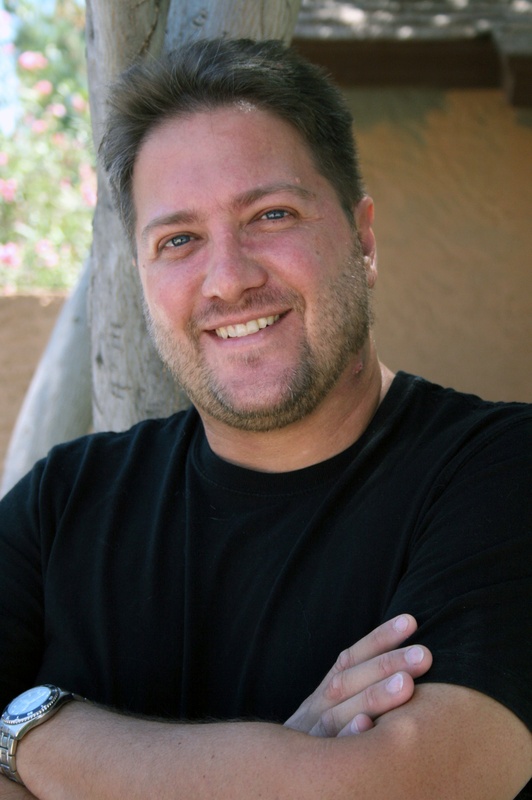 Today’s guest is prolific Horror and Urban Fantasy writer, Joseph Nassise. His latest novel Eyes to See, the first in a new series featuring street exorcist Jeremiah Hunt, has been released recently and we have invited the author to talk about his inspirations and influences. Please let’s give a warm welcome to Joseph Nassise! That’s the opening line of my new novel, EYES TO SEE, released earlier this month from Tor Books. I think it sets the tone of the tale right from the very start and also serves as a hint to the influences and inspirations that prompted me to write the book in the first place. You see, EYES TO SEE is the story of Jeremiah Hunt, a man who has given up everything – his career, his marriage, even his eyesight – in order to discover what happened to his daughter Elizabeth, who disappeared from his home several years before. The book opens several years into his search and during that time Jeremiah has become a driven, obsessed individual; a man who has fallen so far off the beaten track that he’s lost a bit of his humanity in the process. I wanted to explore that dichotomy a bit, to see what it would be like to try and rehabilitate a character through the eyes of the reader as they come to understand just what it was that made him into who he is at the point they meet him for the first time. In order to pull this off, Eyes follows two different timelines – the first, labeled Now, contains the current events that Jeremiah is experiencing, while the second, labeled Then, takes the reader back in time to show them the seminal events that shaped and molded Jeremiah into the person he has become through his memories and recollections. I’d just spent a few years writing the Templar Chronicles series, an urban fantasy trilogy that features modern Templar knights acting as a secret combat arm of the Vatican, defending mankind from supernatural threats and enemies. The hero of those books, Knight Commander Cade Williams, is your typical action-hero and as such is a far more likable character than Jeremiah is at the start of Eyes. I guess I just got tired of writing about nice guys! Another major influence in writing EYES TO SEE was my desire to explore the concept of ghosts and the spiritual world that surrounds us. The ritual Jeremiah undergoes to try and locate his daughter steals his normal eyesight, as the opening line suggests, but it does something more as well. It gives him the unique ability not only to see the ghostly world that overlaps our own but to interact with it as well. How would that change a person, I wondered? How would his interaction with the dead impact the way he deals with the living? And how would the dead deal with the fact that one of the living can not only hear and see them, but control them as well? You can find the answer to those questions and more in the pages of EYES TO SEE. 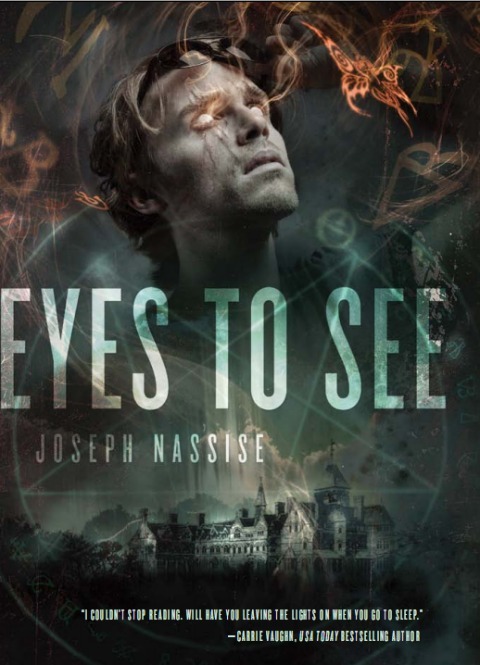 Joseph Nassise is the author of more than a dozen novels, including the internationally bestselling Templar Chronicles series and the recently released EYES TO SEE, the first in a new series featuring street exorcist Jeremiah Hunt. He has also written several installments in the Rogue Angel action adventure series from Harlequin/Gold Eagle. He’s a former president of the Horror Writers Association, the world’s largest organization of professional horror writers, and a two-time Bram Stoker Award and International Horror Guild Award nominee and one of the founding members of SupernaturalInk.com. Visit him on the web at his website or follow him on Facebook. Very good article. I’ve read some of Mr. Nassise’s work, he’s an extremely talented writer.